 A Wall Street Journal reporter skeptical of the rise in privately sponsored research traverses a host of cautionary examples. 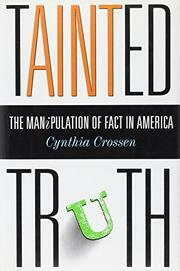 ``We need to reclaim the purity of our numbers,'' declares Crossen, and this book's a start. She exposes how studies funded by Quaker Oats fueled the attribution of healthful qualities to oat bran, though closer analysis suggests such claims are hollow. Automobile safety ratings provide Crossen with a good example of how expert claims can mean nothing or be misleading: The federal government ranked a Pontiac LeMans as safe for a subcompact, but a private institute rated it as one of the least safe cars on the road. Crossen points out the flaws in both tests and then notes that such bogus results are bandied about regularly in advertising. Polling, she cautions, ``often is not public opinion,'' and is surely unable to capture the weighing of doubt. But imprecise political polls proliferate, and an experienced pollster can obtain a desired result by a skillful manipulation of questions. Crossen's criticism of data-massaging courtroom experts is valid, as is her warning against drug researchers now beholden to industry, but she shouldn't cite Michael Crichton's Jurassic Park as a source. Among her recommendations: Political and commercial pollsters should adopt higher standards; academic institutions should better police research conflicts; scientists should take peer review duties more seriously. Journalists, she suggests, should demand that all research include a technical index of data, and that costs and benefits to both the sponsor and researcher be disclosed. Crossen's prescriptions are worthy, if some are easier to effect than others. Still, this roundup of a book could use more narrative heft.